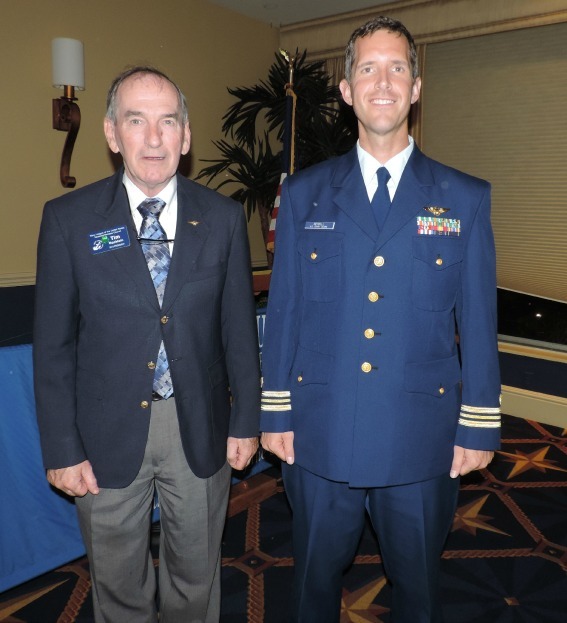 At our March 18th dinner meeting at the Bird Key Yacht Club our members enjoyed a very interesting presentation on Coast Guard aviation, its history and its current operations. 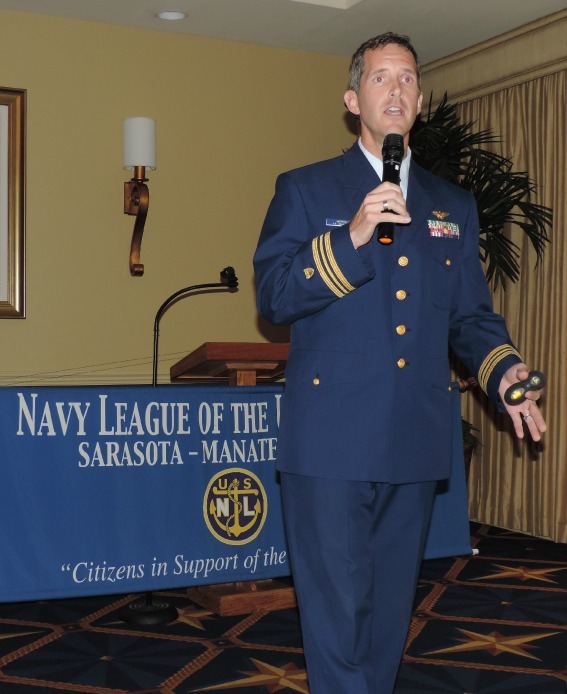 Lieutenant Commander Adam Merrill, a Coast Guard Instructor pilot in the MH-60T“Jayhawk” from USCG Air Station Clearwater, gave an informative -and often humorous- presentation, beginning with the first flight by the Wright brothers on December 17th 1903. 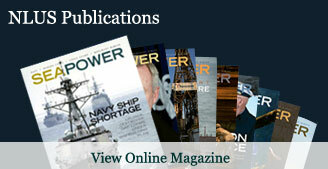 How was the Coast Guard involved in that historic moment? History shows that the five-member crew of the Kill Devil Hills Lifesaving Station provided critical assistance before, during and after the Wright’s initial flight, making those Coasties the first-ever aviation ground-support unit. 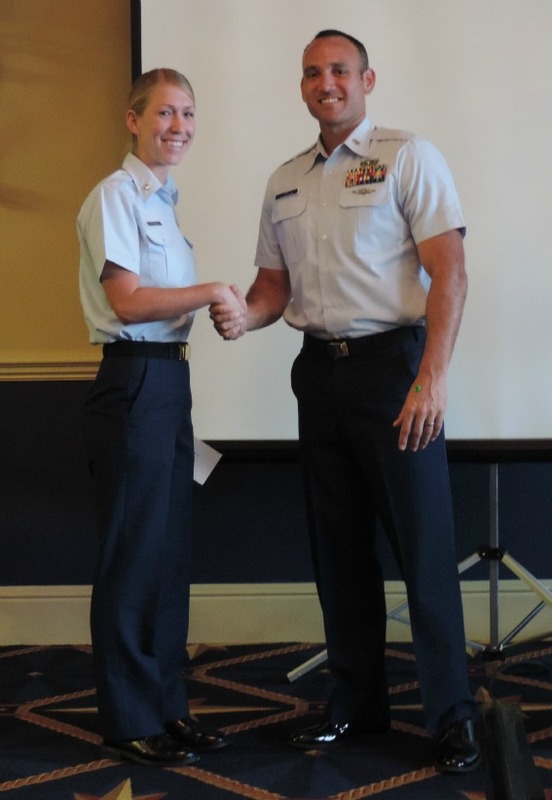 Within 14 years of that flight, the first Coast Guard aviators completed flight training at Naval Air Station Pensacola, and the rest, as they say, is history. In 1934 Coast Guard Air Station St. Petersburg was commissioned at Albert Whitted Airport, and a variety of aircraft operated from there over the years. But in 1976, the acquisition of the Lockheed HC-130’s, and their need for longer runways, prompted the air station to move to St. Pete – Clearwater International, where it remains to this day, operating the C-130H and the MH-60T. The current Coast Guard, consisting of over 50,000 active and reserve personnel, conducts a variety of security operations throughout the world, including search and rescue, drug interdiction, port security, migrant interdiction, and much more. Closer to home, the assets assigned to Air Station St. Pete – Clearwater, in 2014, conducted 336 SAR cases, saved 85 lives, helped to interdict 1638 migrants and over 100 tons of marijuana and cocaine. 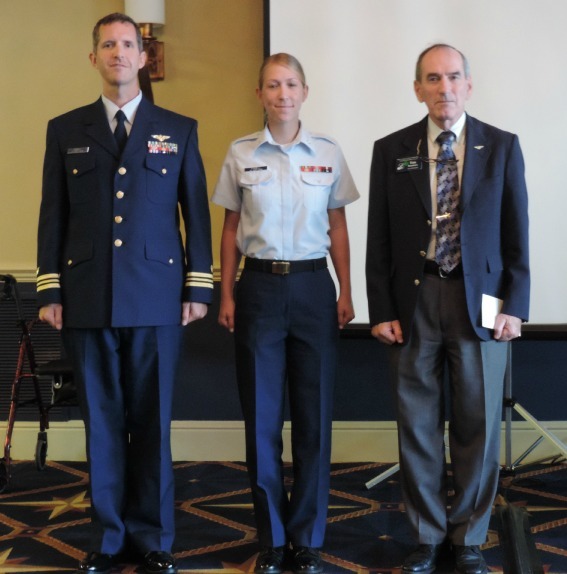 LCDR Merrill, MK3 Finnell and President Rockleing as the Sailor of the Quarter citation is read. 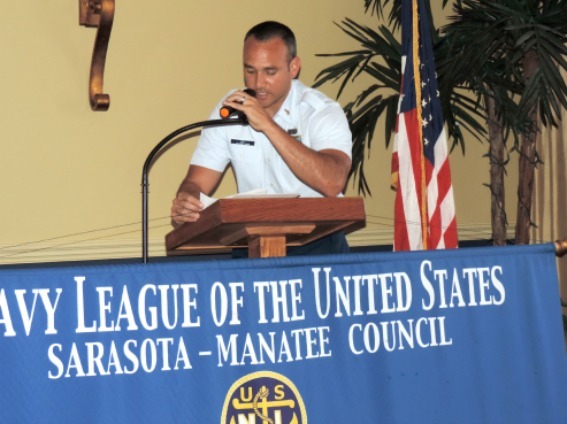 BMC Ekahi Lee from Coast Guard Station Cortez reading the citation.